You'd think the fact she can talk to the dead would make it easier to figure out who's slicing up the creeps at Rosewood Academy. But it turns out some people are even more dangerous dead than alive. All clues lead back to Adam--the highly tempting fugitive she's been hiding in a coffin. But her best friend Gabriel's got some twisted secrets of his own, and if you cross some lines there's just no coming back. Was the guy with the wicked grin really framed for murder? Or will Liv end up another bloody victim of the high school serial killer? 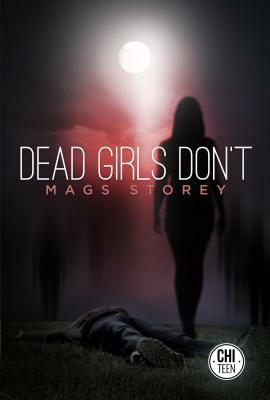 DEAD GIRLS DON'T is a paranormal love story about stalkers, psycho killers, and why you should never trust your date's dead ex. Life's complicated that way. Mags Storey is an award-winning novelist and journalist. She used to travel the world. Now she lives in the GTA. She's occasionally mistaken for a zombie. But hey, this is Toronto.